Reverend Donna Vuilleumier has been affiliated clergy at Eliot Church since 2006, offering occasional worship leadership, facilitating a Caregivers support group and participating on church committees. 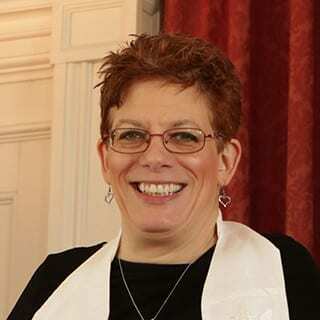 Donna holds a Master of Divinity degree from Andover Newton Theological School, and served for two years as a student minister at the Congregational Church of Harvard (MA). She was ordained in the UCC, and previously served at Grace Church in Framingham as Minister of Christian Education. She is a Spiritual Counselor for Kindred Healthcare, providing support, education, and spiritual care for patients and their families. Donna supports the community and educational aspects of hospice by speaking to groups on spirituality and end-of-life issues and is the author of “Never Forgotten: The Comfort of Spirituality in Dementia.” She lives in Ashland with her husband Bill, a Merchant Marine Captain, and has a grown son and a daughter as well as a young grandson.